These two essays were written by students in Katherine Cohen’s 7th-grade English class at Greenberg Elementary in Northeast Philadelphia. The students were assigned the task of writing a persuasive letter. Some of those letters have been revised by the students and submitted to be published in various Philadelphia media outlets. Do you like standardized tests? Your answer is probably no. However, your answer should be yes, and here is why. Standardized tests are assessments that are made by testing companies to tell what students in different school districts know. Standardized tests should be kept in schools. One reason why standardized tests should be kept in schools is because they are a good measure of a student’s achievement. For example, if we did not have standardized tests, policy makers would have to rely on tests that have been made and scored by teachers and individual schools that have favorite students. Also, multiple choice questions on standardized tests are graded by a machine so it is more fair than a test graded by a teacher. This evidence shows that standardized tests give more reliable results. This proves that standardized tests are important because they help students learn what they need to in order to get into college. Lastly, standardized tests should be kept in schools because students do not get too stressed out over standardized tests. To illustrate, “although testing may be stressful for some students, testing is a normal and expected way of assessing what students have learned,” the U.S. Department of Education said. In addition, the University of Arkansas, in a November 2001 study, found that “the vast majority of students do not exhibit stress and have positive attitudestowards standardized testing programs.” This shows that standardized tests are not too stressful for students. To conclude, standardized tests need to be kept in schools. 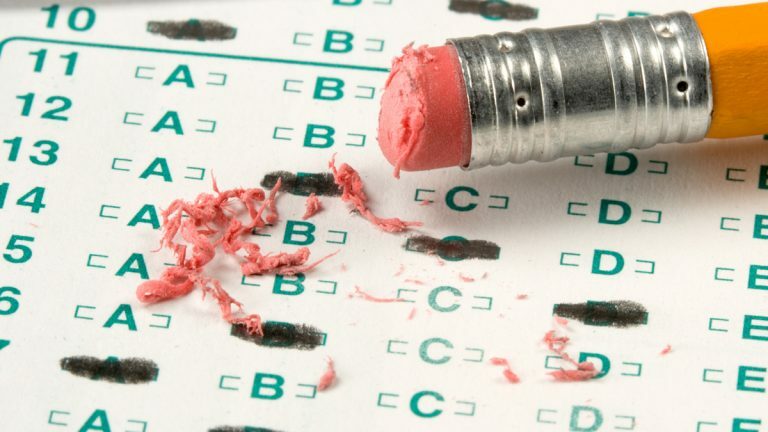 Again, standardized tests are a good measure of a student’s achievement, the standardized tests and increased testing are a better college preparation, and the testing is not too stressful for students. Immediately, we need to call the United States Department of Education and tell them that standardized tests should be kept in schools. 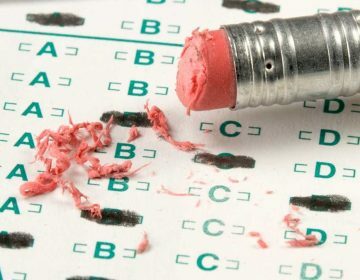 Joshua Palackal: Are standardized tests really improving education in America? Hey kids! There’s no reason to worry about standardized tests! No! There are plenty of reasons to worry! In case you did not know, standardized tests are exams created by testing companies. These tests are used to evaluate what students in different states and school districts have learned. However, these exams are not as innocent as they seem. 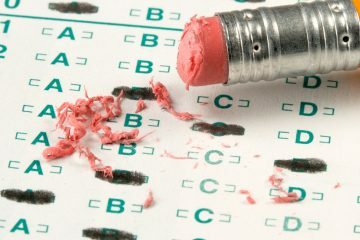 Before, these tests, such as the Pennsylvania System of School Assessment (PSSA), were not as important as they are now. Now, these tests have the power to destroy entire school buildings. We must get rid of standardized tests. First of all, learning time is being replaced with test preparation. For example, 44 percent of schools in the United States are spending more time on reading and math. Sounds good, right? Wrong! Although students do spend more time on math and reading, less time is spent on other subjects, such as science, social studies, and the arts. Furthermore, playtime for kindergarten students has decreased and has been replaced with lessons to prepare for high-stakes testing. These are children no more than the age of 6 preparing for an assessment they will start taking three years later in the third grade! Our children deserve to learn, not to prepare for a standardized test. We also need standardized tests to be outlawed because they give students anxiety. Standardized tests can give even the brightest of students the worst anxiety. In fact, test anxiety is so common that, according to the Sacramento Bee, “The Stanford-9 exam comes with instructions on what to do with a test booklet in case a student vomits on it.” Why should our children face this kind of apprehension due to a test? Lastly, standardized tests need to be no more because they encourage teachers to cheat. As you may or may not know, teachers can be punished or rewarded depending on the test scores of the students they teach. This persuades teachers to cheat the system. For instance, in January 2009, a memo revealed that a total of 191 teachers in Washington, D.C., had cheated the system of education. Moreover, teachers at a school in Atlanta, Georgia held “parties” over the weekends to correct test answers. This was shown by ABC News. Are we going to stand and let standardized tests persuade our educators to cheat the system of education? As you can now clearly see, we must end standardized tests. Students are currently spending less time learning and more time preparing for a test. In addition, standardized tests give test-takers anxiety. Finally, teachers are tempted to cheat the system. To all readers, we need to put a stop to standardized tests. A petition could be the answer. With enough signatures and enough people to support this cause, standardized tests can be no more! 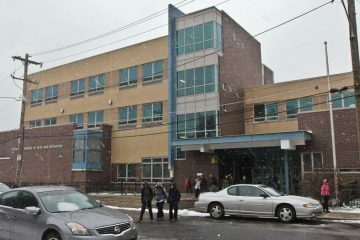 Philadelphia's youngest public school students made notable gains in reading last year, according to state test scores released Wednesday.